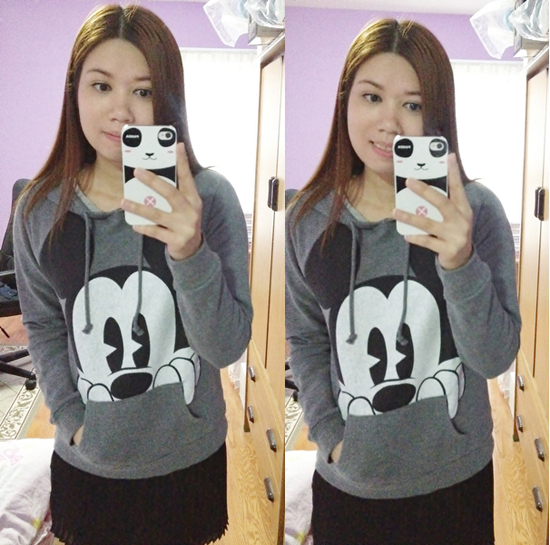 The weather's been getting warmer lately and I can finally wear my mickey mouse sweater with skirts! 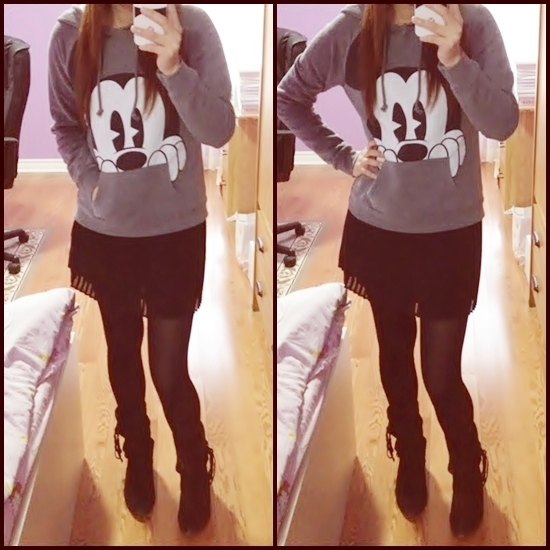 But still not warm enough to be wearing skirts out without tights though so I still need to layer up to keep warm. Can't wait to wear skirts when spring is here. I just can't seem to be "myself" wearing pants to stay warm in the winter, it somehow doesn't feel right. Maybe it's my own personal preference but wearing dresses and skirts have seem to become a big part of my fashion style over the years. Also, it seems like it's a been a very long time since I last took any outfit pictures with my hair straight. Speaking of hair, my ends have been getting extremely dry with split ends. I think I need to visit the salon for a hair trim and oil treatment. I'm also thinking of whether if I should get a bangs cut while I'm at it. I'm just not so sure how I feel about getting a hair change right now. I always fear that I might regret it afterwards. Ah, what to do?